Holiday season is here, and we are all shopping for others and updating our own lists. What holiday gift do you crave or are looking forward to giving? 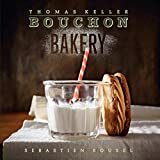 At the top of my wishlist is Thomas Keller and Sebastien Rouxel's Bouchon Bakery cookbook. To enter this week's contest, leave a comment with a gift you are giving or wish to receive this year for a chance to win and a Threadless gift certificate. As a bonus, name the worst gift you have ever received for a bonus Threadless gift certificate (mine was socks, I complained once when I was seven and have received a pair every year since). The winner will be chosen randomly at midnight ET Friday evening (December 21st).